June 2013: Tips, eNews & More! June 21st is the first day of summer as well as the summer solstice. It will be the longest sun lit day this year and we hope you make the most of it. If you are looking for an excuse to get outside around lunch time, try this: take a look at your shadow outdoors at noon on the 21st, it will be your shortest 'noontime' shadow of the year...That's worth a look! If you are interested in bringing out your beautiful, healthy smile for the endless photo opportunities of Patio Season, give us a call or request an appointment here. Now is a great time for us to discuss the smile of your dreams. Congratulations to Katrina who was the lucky winner of our draw at the Family Wellness Day Expo. She won a Sonicare toothbrush. Click here to see the picture. Thank you again to everyone who visited our booth. We look forward to seeing you again next year. 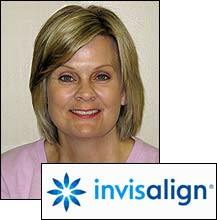 Nancy, our dental receptionist is now using Invisalign. She has decided to share her experience with you! Invisalign is essentially clear, plastic "mouthguard like trays" (aligners) that move, straighten and works wonders on your teeth in the same way traditional braces do. I had a small diastama (gap) between my front teeth and lower crowding of my bottom teeth that I never really favoured. 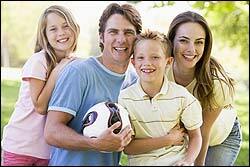 Impressions, photos and when necessary xrays are taken of your teeth, then turned into 3D images. You can actually see the kind of results you will get with your recommended treatment. My treatment is 10 to 15 months, so half way there and already can see the transformation. Here's a fun way to end your picnic at the beach, and in our case a delicious way to end our pot luck lunch. Our recipe this month is Beach Bear Cupcakes courtesy of Jessica!